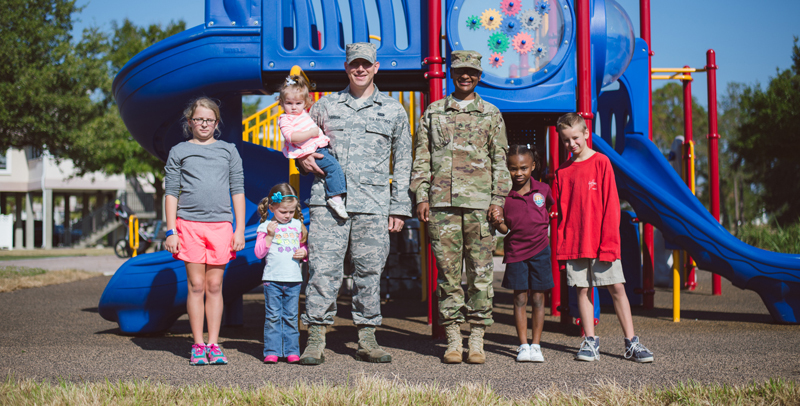 The Armed Forces Families Foundation (AFFF), a charity organization helping military families in the Southeast U.S., unveiled a newly completed playground facility for families stationed at MacDill Air Force Base on Monday, November 7, 2017. The $47,534 neighborhood project replaces an aging structure that was removed earlier this year and is equipped with two slides, two rock walls, a net climber, challenge ladder and tunnel. The new installation is located in the Heritage Cove neighborhood, which has 94 homes for military families and is easily accessible for all 572 active duty families stationed on base. These families represent all major branches of the military, including the Air Force, Army, Navy, Marines Corps and Coast Guard.